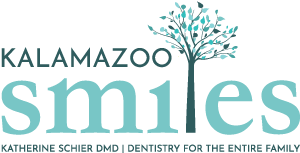 Looking for a family and cosmetic dentist in Kalamazoo, MI? Our Kalamazoo, MI dentist offers a range of dental services for patients of all ages, including reconstruction, family, and cosmetic dentistry. We pride ourselves on using state-of-the-art technology to improve your experience in the dentist’s chair. Our Kalamazoo, MI dentist use the latest dental technology to improve the precision, comfort, and recovery time of many procedures. We also use dental imaging technology for diagnosis, treatment planning, patient education, and post-treatment care. Our dentist is ready to help you maintain a beautiful healthy smile. To request an appointment with our Kalamazoo, MI dentist, call the Lakeshore Dentistry & Implant Center at (616) 399-3946.